So far I have been enjoying my Eufycam and its services, but ever since the latest app and home base updates, I am getting way too many notifications for cars driving by my house. I have the sensitivity for motion set to a "10" and I still get notifications for cars driving by and squirrels in my yard. Everything is working great, outside of the issue of not recording too quickly or for too long that everyone brings up for a fix or complains about, but these notifications are getting out of hand for stuff that shouldn't even be notifying me of an event. I know lots of bugs are being worked on, so wanted to bring this to Eufy's attention if others are finding this to be problematic like myself. The max sensitivity for the Eufycam is 75, so 10 should have it so only humans close to the CAM come up. But I know were still early in the CAM/App so I expect it to be addressed. Retrying the formatting of the SD card as that seems to fix random issues based on Eufy feedback on their Kickstarter page. Retrying the formatting of the SD card as that seems to fix random issues based on Eufy feedback on their Kickstarter page. Did this fix the issue you were having, or is it still happening? Also - what version of cams and homebase are you on? It seems to have fixed the issue as this morning I haven't been getting as many notifications. I'll continue to monitor as I usually have more cars drive by in the afternoon, so today will be the real test. But considering it didn't get me pulling out of my driveway today, it seems to have fixed the issue and I may need to bump my number up now. After another week, I still get the same issue of cars driving by my house triggering notifications. I understand an event being recorded, but I wouldn't expect notifications unless a human is detected. So still some work to be done to fix the issue. This is still with my sensitivity at a 15-20 level. I have this issue too. I’ve reduced the sensitivity which helps but now it’s so low it doesn’t record all human motion! I now have my sensitivity set to level 5 and am still getting notifications for cars that are driving past my street. My CAM is easily 100 or so feet away from the street, so I would expect these to not show up, especially at this low level of detection. @AnkerSupport is this something being looked into for an upcoming release or is this something we will have to deal with for a while. Having these constant non human notifications makes me want to turn off notifications as they are getting out of hand, but then that'd negate the purpose of a security system alerting you of activity. Just to double-check, what firmware version is your app, cams, and homebase on? @AnkerSupport The homebase is on the 1.6.7 version, CAM is 1.7.1 and app is 1.1.1_173 (iOS). I've been on these since the day they came out. At level 10 now, still get notifications for cars that drive by, but maybe not as many as at a 20 level. @AnkerSupport Am I right it assuming that the Motion Sensitivity simply adjusts the detection range so lowering the sensitivity will not help filter out non-humans? No matter what the sensitivity my cameras are triggered by my car pulling off the drive and by animals. So, where is the smart Human Detection we were promised? Also, the face recognition is very hit and miss. I've registered a number of faces from numerous angles, but they are hardly ever recognised and when they are recognised I still get notifications! Am I right it assuming that the Motion Sensitivity simply adjusts the detection range so lowering the sensitivity will not help filter out non-humans? So, where is the smart Human Detection we were promised? I've registered a number of faces from numerous angles, but they are hardly ever recognised and when they are recognised I still get notifications! We are working on refining the smart detection to be much better at detecting faces as well as what the system does when it detects faces. Stay tuned! Do you have improvement fixes for the recording start delay? That is my biggest problem at the moment. Instead of getting someone walking up my drive and to the door (e.g. mailman), I get them after they've turned back already... This is on max sensitivity. 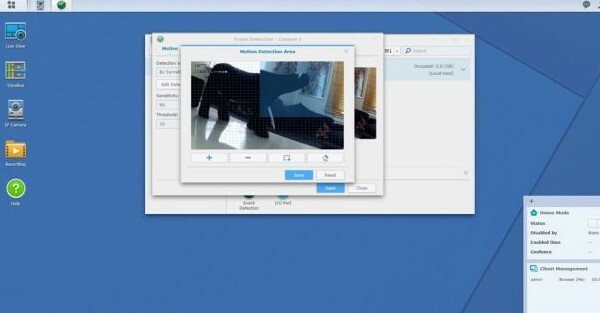 @AnkerSupport ok, thanks, while you are at it why not add the ability to set motion detection zones like we can in Synology Surveillance Station. I've got sensitivity down to 0 and still get 100+notifications a day. Doesn't seem like @AnkerSupport has any info on us that have our sensitivity levels under 10 but still getting plenty of notifications. My guess is we'll just have to keep waiting for CAM and App updates to resolve this. Hopefully sooner than later as it gets very frustrating and annoying and could cause us to ignore these notifications and then have it actually be something we need to look at.